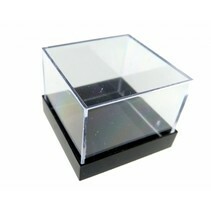 Your Minerals stored safely or display nicely, that's possible with these boxes and stands. Here is a selection of storage boxes for your small minerals and stands for flat stones. 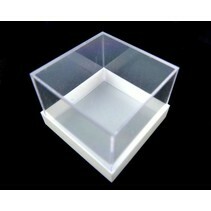 You can choose between different boxes, we have storage boxes of 2.5 x 2.5 cm and 5.5 x 3.5 cm. 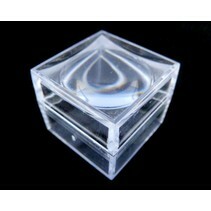 Gem Boxes are 2.5 to 2.5 cm and are equipped with padding so that your precious stone is always nicely visible. Particularly suitable for the amber with insects is the magnifying glass box, with a magnifying glass in the lid. 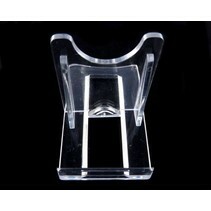 Stand are especially for flat stones or discs suitable. like this you can put your flat stone straight up. This is often done in display cases. Ideal for sawn ammonites or agate discs.